Transformative Change in Education | Think. Innovate. Educate. Educators are no strangers to change; education is constantly evolving. One only needs to look at implementation of Common Core, increased use of blended learning, leanings toward more individualized learning and the push toward student entrepreneurship to see some of the major trends in education. Whether you are a superintendent or a building principal, you will be tasked to drive change for a number of reasons. What will change and how that change happens require you to think strategically about whether you are seeing incremental change versus transformational change. The definition of incremental change is that it usually involves small adjustments that are put in place toward an intended result. Typically, incremental changes do not pose a threat to existing structures or methods. Transformational change involves a shift in the culture of your school or district that results in a change in the underlying strategy and processes of the school or district and is enacted over a period of time. Transformational changes in education are the result of a shift in the very fabric of the school culture and require a growth mindset. One of the most notable transformational changes in the past few years in education involves how teachers are taking ownership of their own professional development through the unconference model, EdCamp. EdCamp is #6 in this year’s Top 10 Most Innovative Companies of 2015, by Fast Company. Built on the premise that teachers can own their own learning, edcamps are a transformational change in how educators grow professionally. EdCamp has become the tool or structure that many individual educators are using to enhance their own practice. But what about transformational change in your building that involves deeply embedded structures and processes? What kinds of tools can a company use to position its people toward change? As a school leader, I’ve used CBAM to address the concerns my staff has had whenever we’ve implemented new structures, tools and/or processes. 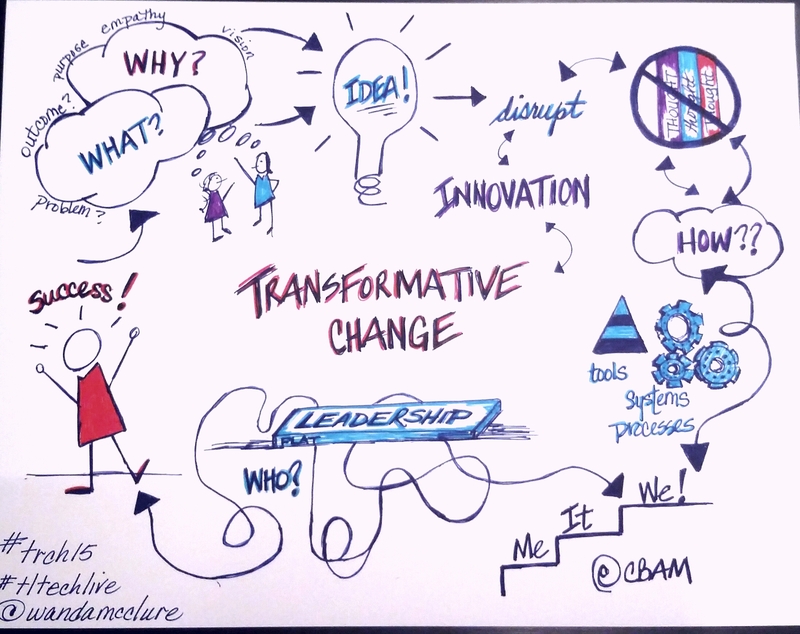 As an educational leader and co-founder of EdCamp Atlanta, CBAM allowed a collaborative way for the founders to work together and move the edcamp movement forward in the southeast region. So, what tools are in your toolbox? How do you address the unique attitudes and beliefs about change that each person you lead brings to the organization? I’d be interested to hear your story.